The wolf is a hot topic in Germany. Heavy discussions amongst farmers, locals, and even politicians keep the wolf on many people’s minds an stir different emotions. This month, wolves killed 13 sheep in Celle (Niedersachsen), home to six wolf packs. The political party CDU lobbied publicly for legal killing of these so called ‘problem’ wolves. In Thüringen the CDU party wants to enforce a so-called ‘protective hunt’, another pretty wording for killing of wolves. 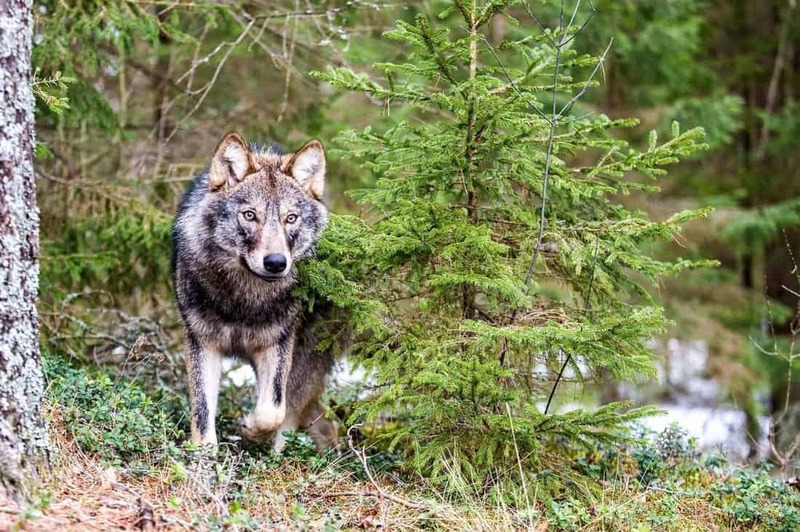 And in Südtirol the politicians are under pressure by the farmers’ association, who claims that the wolf is a threat to their professional existence. Is the wolf really that bad? New numbers published last wekk show the costs of wolves in Germany. The German Ministry of Environment confirms that the damage of wolves is significantly less compared to other wildlife species. Over a timespan of 17 years, the total costs of damage by wolves was not even 500.000 Euros. This might seem a lot, but in comparison the marten caused damage of 63 million Euros in 2015 alone! Marten caused mainly damage to cars, a stunning 126 times more in a single year than wolves in the last 17 years. The total damage of wildlife in 2015 in Germany is roughly 653 million Euros, where damage of wild boar to farmlands and herons to fishing ponds is not even taken into account. The wolf’s damage counts thus for 0,08% of the total wildlife-damage in Germany. Since the first wolf cubs were born in Germany in 2000, the wolf numbers gradually increased over the past 17 years. Currently there are 70 wolf packs, consisting of estimated 614 wolves. And while no wolf human conflict has happened in the last decades, car accidents with other wildlife injured 2790 people, of which 521 persons were seriously injured, and 11 people died in 2015. The wolf population is growing in Germany and it causes damage, no doubt. But the wolf is the people’s scapegoat for may reasons including socio-economic. People lived alongside the fox and marten for decades, but we do not want to learn to live alongside the wolf. The wolf changes people surroundings fast, and some people have difficulty adapting fast enough. A minority of people unfairly blame, accuse and even kill the wolf, while the wolf actually restores nature’s balance benefiting the complete flora and fauna. The killing of wolves to reduce livestock depredation has in fact shown the opposite result. When people kill a wolf, its former wolf pack weakens. A weakened wolf pack is less successful in hunting wildlife and therefore more likely to turn on easier targets: sheep and goats. The best solution there is, from a human and nature perspective: proper herd protection. There are multiple ways to protect livestock, for example using electric fences, guarding dogs, and active human herding. As not all measures are equally effective in each country, an exchange of best protection measures and their effectiveness is crucial. The European Wilderness Society is therefore creating a handbook with informative and practical examples from all across Europe. It provides the livestock owners in new and potential wolf areas with information, best practices and useful contacts. We will publish the handbook in the near future, available in different languages. solution of this problem will be a perfect proof of how Germans are serious about nature conservation in their country. Countries to the east (Lithuania, Poland, Slovakia) have much more numerous wolf populations surviving there for a number of decades. Great initiative to create a handbook about livestock protection. Looking forward reading it! In Lithuania we are facing the same issue, that a lot of people still think hunting is the only and the most efficient way to reduce depredation. Due to direct payments sheep numbers increase every year and livestock protection is more and more important. Therefore, we created a site Safe sheep (www.saugiavis.lt/en/). We aim to update it with the latest information both form other countries and from local farmers. I think that it is very important to find a way to share our experience at international level.